Welcome summer with this Aperol Tequila Cocktail – the Part Time Lover! 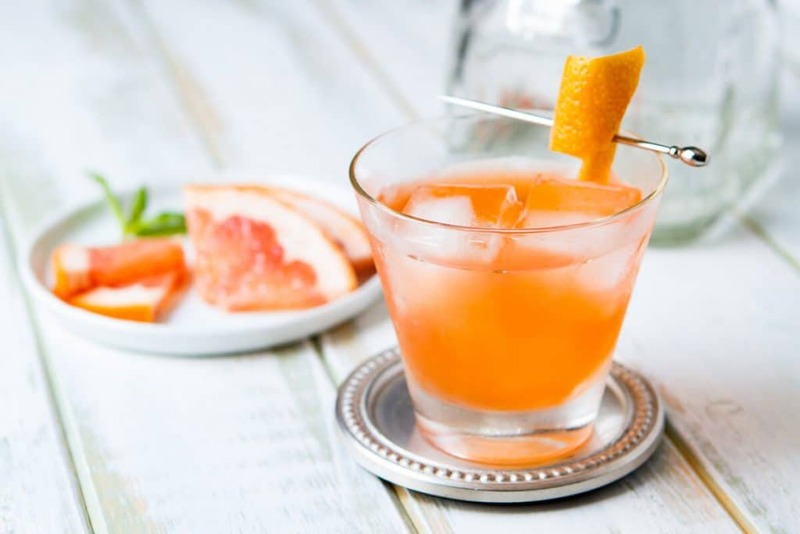 If you’re a fan of an Aperol Spritz you are going to love this tequila cocktail recipe! Lemon juice and Elderflower liqueur smooth out the edges of this sweet, tart and juicy sipper! When it comes to tequila, I’m pretty much in the margarita camp – and if you’ve been reading a while, you’ll will have figured that out! Hibiscus, tamarind and even hatch chile margaritas – I’ve posted more margaritas than any other cocktail here on the Table! But tequila is far from a “one trick pony” spirit, and I decided that it was high time to start exploring other cocktails with tequila. Ah, but where to start? Well, I had a very large bottle of Patron Silver in the bar so…. I started with that! 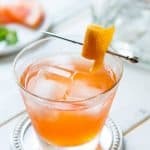 Perusing the web, I came across this tequila cocktail recipe- the Part Time Lover and was intrigued – and when I saw it was made with Aperol I knew I was going to make this drink! An Aperitif, Aperol is made from a number of botanicals including cinchona, rhubarb and gentian and has a relatively low (11%ABV) alcohol content. What does Aperol taste like? It has a strong orange/mandarin flavor and a less bitter taste than most aperitifs. Aperol is delicious both straight and in cocktails! What can you substitute for Aperol? Compari is the best substitute although it doesn’t have the same orange flavor and is higher in alcohol. Do you need to refrigerate Aperol? Aperol is shelf stable so you don’t need to refrigerate it! And I’m really glad I did! 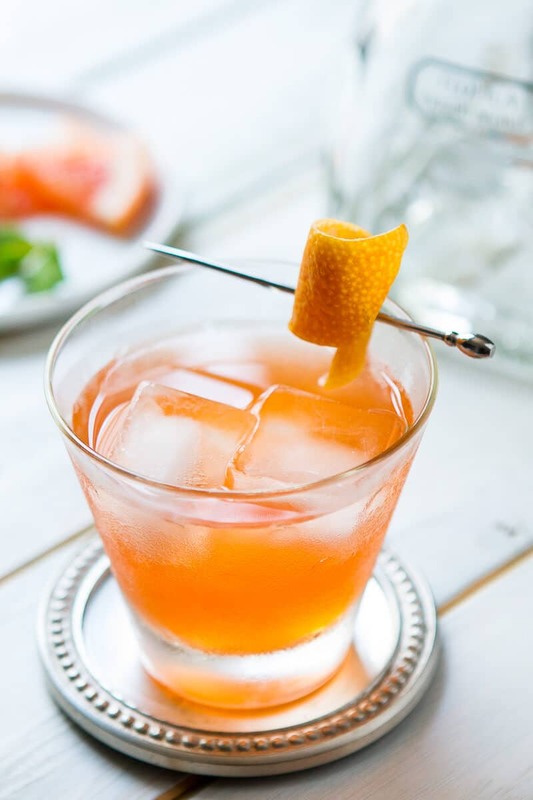 Refreshing and citrusy, with just a trace of bitterness from the Aperol, this tequila cocktail was made for warm summer evenings spent on the patio…. Combine all the ingredients in a shaker and shake. Pour over ice and serve! Other cocktails with Tequila you may enjoy! If you liked this Aperol Tequila cocktail, I’d love for you to give it a 5 star rating! Aperol and tequila… a surprising but delicious combination! Citrusy and light, it’s just right for summer sipping! Oooh that looks so delicious. I want to make this. Thanks Cathy! It’s truly refreshing and a great alternative to a margarita!! 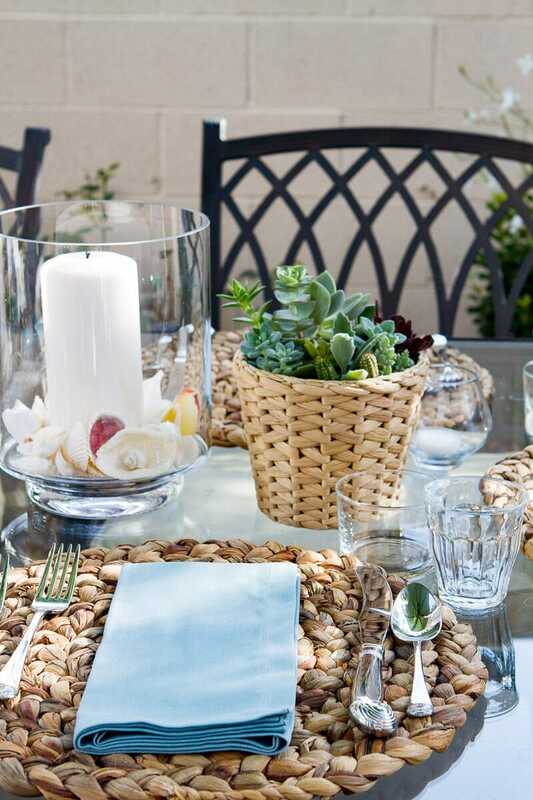 The cocktail is gorgeous, but I also noticed that basket of succulents on your table! Dreamy. Awww…. thanks Lori! Aren’t those succulents gorgeous?! My BFF is amazingly talented at planting them and growing them so she potted them for me! Love them as a centerpiece since they last forever – no more buying fresh flowers every time we have people over – woo hoo!!! First time we had Aperol was in a recipe from Giada’s current cookbook and OMG thought we would die…Processo. Can’t wait to try your cocktail. Thank you as always for all your ideas. Isn’t it scrumptious?? Awww… thank you!! So glad you like my recipes!! !